A castle has stood in this location since the 11th century. This ancient castle was destroyed so that the castle we see today could be built, in the years from 1518 to 1527, when the wife of Gilles Berthelot (mayor of nearby Tours and treasurer to King Francois I) inherited the site. 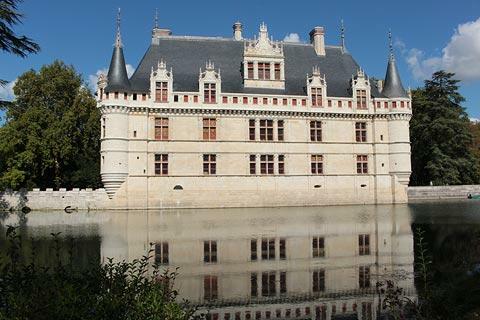 Azay-le-Rideau castle is one of the earliest examples of Loire castles to be built in the French Renaissance style, and possibly the most beautiful. 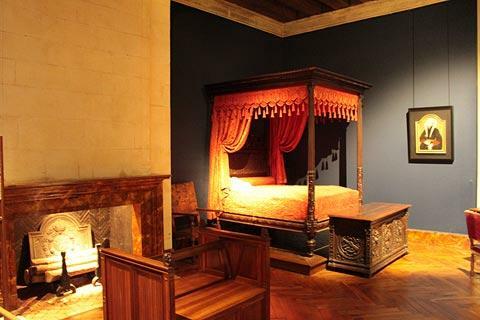 Shortly after the castle was finished, King Francois I charged Berthelot with embezzling state funds and the King seized the castle from Berthelot to give to a senior army officer. Substantial changes were made to make the castle entrance more dramatic in the 17th century, by Henri-Francois de Vassé. 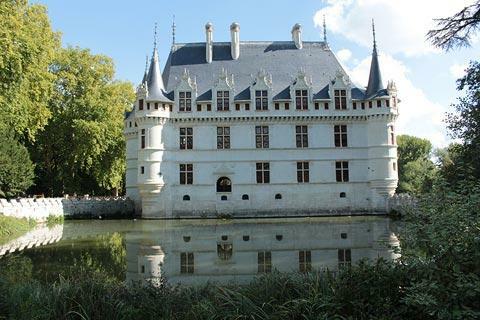 Over the following centuries the castle had various owners, including the Biencourt family who owned the Chateau Azay le Rideau for a large part of the 19th century and completed a great deal of renovation work. The castle has been owned and maintained by the state since 1905. 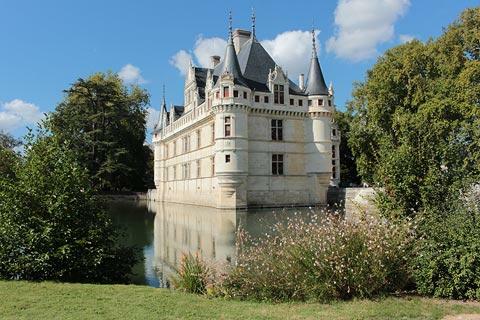 The castle at Azay le Rideau faces across the river (and the moat formed by the river) to the south, and is most attractive and most photographed from the park on the other side of the river. In fact there is water on three sides of the castle so you can usually take nice photos, with the castle reflections in the river, at any time of day. As a whole, including the west wing, the castle forms an 'L' shape, with each corner having a substantial tower. The predominant architectural style is based on ideas copied from the Italian renaissance building style, although the roof style and the conical roofs on the towers are more French style in origin. 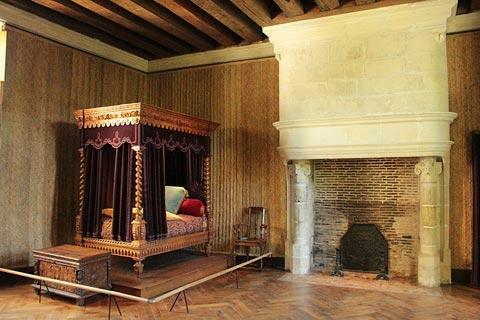 While it is undoubtedly the setting and the overall exterior appearance that are the most memorable aspects of a visit, the inside of Chateau Azay-le-Rideau is also impressive with several lavishly furnished rooms, on a more manageable scale than the larger Loire castles. 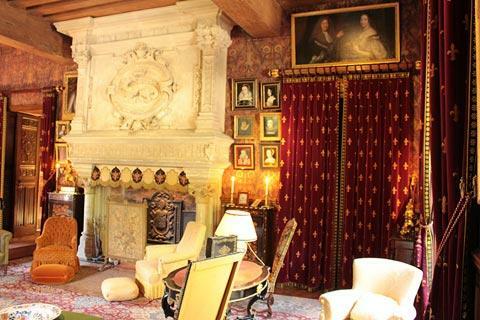 You will see fireplaces, paintings and furniture appropriate to the rooms, with later rooms on the tour having more recent furnishings to represent the different epoques in the life of the castle. The most important individual highlight is the staircase, set within the castle walls and with a richly decorated facade facing the interior 'courtyard' formed by the 'L' but open to the elements. In the staircase take a look in particular at the finely decorated celing decorations. 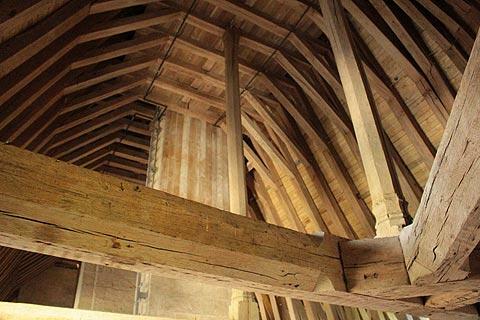 The carpentry in the attic is also exceptional, a large and open space made from wood cut down in the Forest of Chinon in 1517. 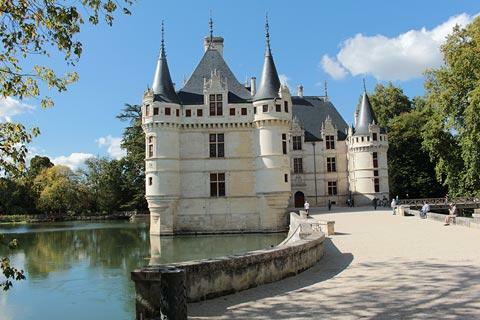 To complete your visit to chateau Azay-le-Rideau, stroll through the parkland that surrounds the castle which contains a good number of mature trees and a small island, the Island of la Rémonière. France This Way comment: the gardens were the one area that was a disappointment at this castle: there is a small 'secret garden' before you enter the castle where historic vegetables are grown and which is quite pleasant, but otherwise there is very little garden here: even the area designated as the Priory Garden gets its name because it was historically a garden, not because it is now! 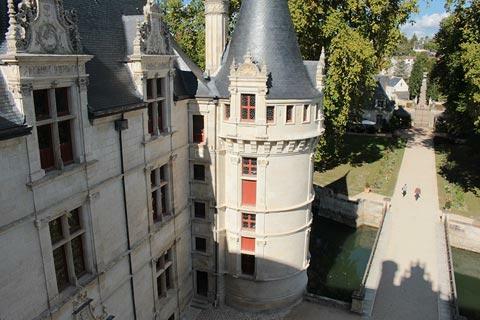 The chateau is a listed French National Monument and also a UNESCO World Heritage site. 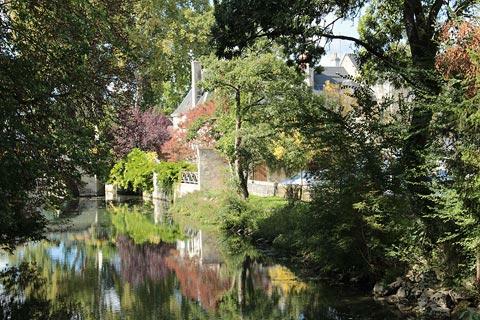 You will certainly want to allow some time for a walk around the village of Azay-le-Rideau when you visit. 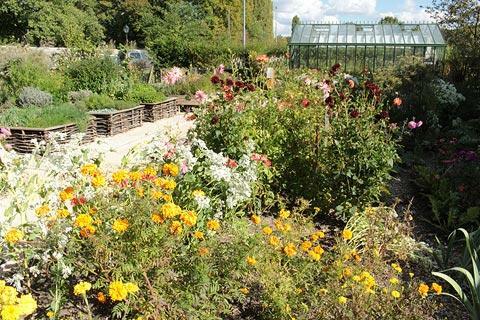 Not far north of Azay-le-Rideau you can visit the magnificent gardens of Chateau de Villandry as well as the Chateau de Langeais. 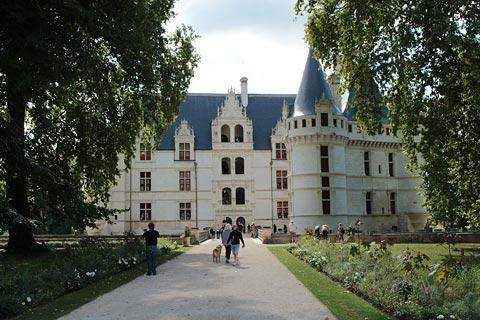 For towns, you will want to visit the historic centre of Chinon to the south-west of here, which also has a castle, as well as the large town of Tours, to the north-east of Azay-le-Rideau and with several interesting sights.